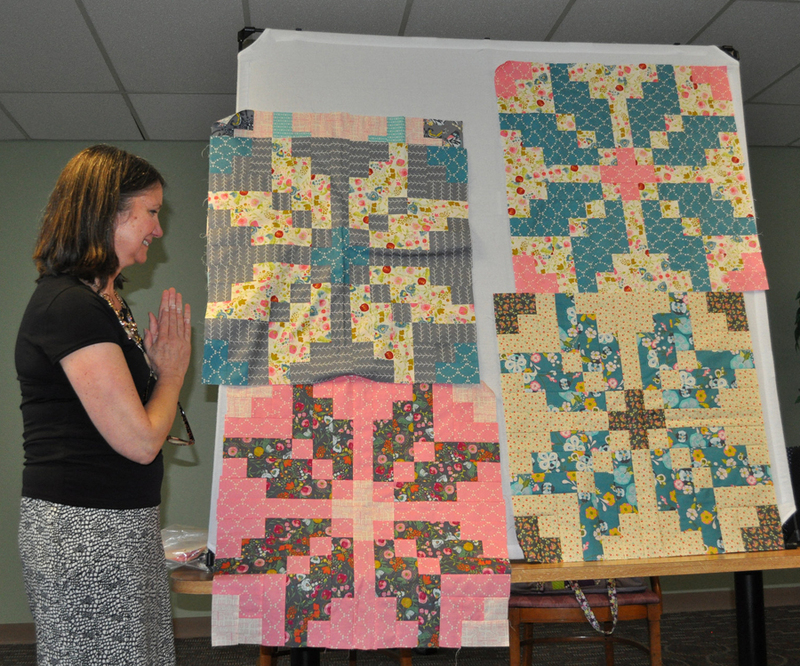 Charity Update: Ellen spoke with Clermont County Senior Services about our donating quilts to them. 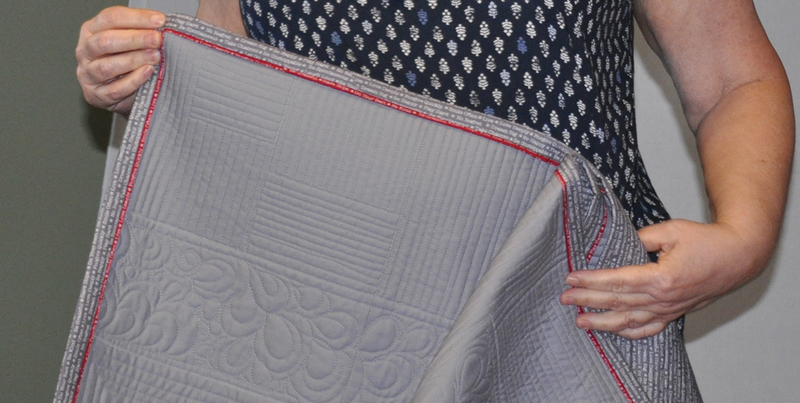 There are three potential uses for our quilts. One would be for a pantry where caseworkers can go to provide seniors with something they need immediately; for this they'd want twin or lap size quilts. 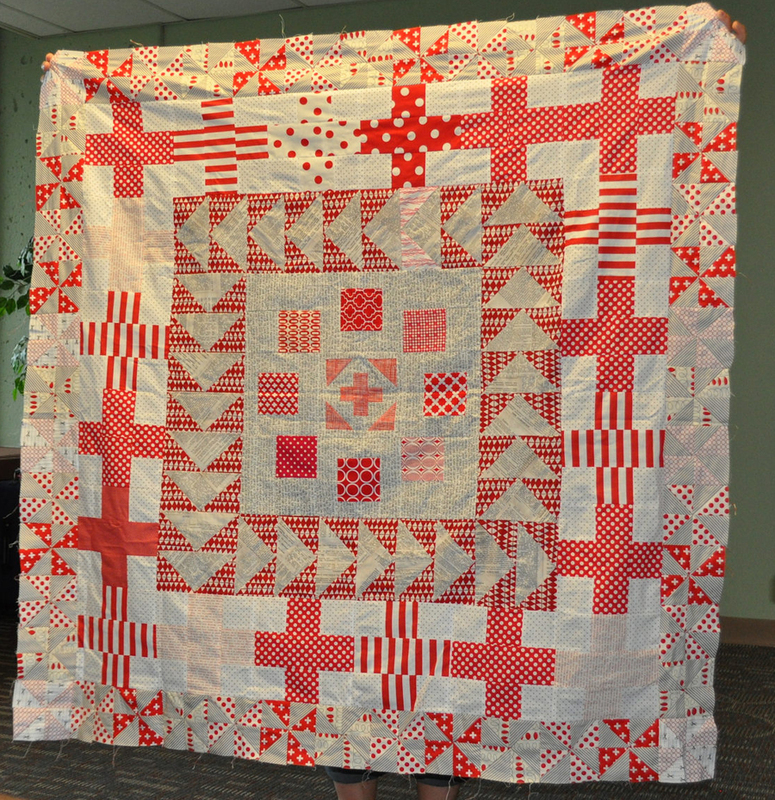 The quilts could also be used in their Adopt-A-Senior program that supplies gifts at the holidays to those who wouldn't normally receive any; again twin or lap size would be good for this. Finally, there may be a need for bedding size quilts for their adult day program. 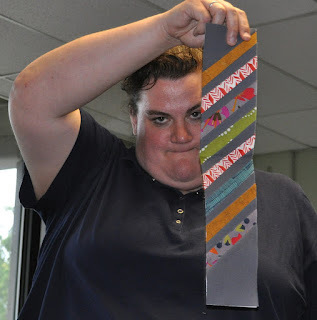 The organization seems excited to work with us! More details to come. 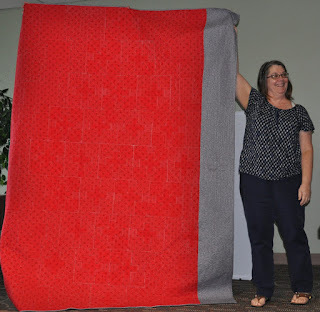 Quilt Con West Charity Quilt Challenge: For this challenge, the guild (or individual) is to create a quilt in the theme "improv with intent" using specific challenge fabric colors. 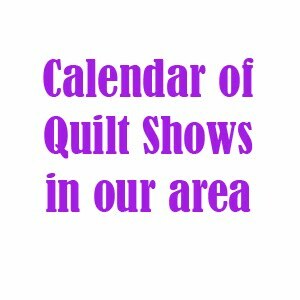 The quilts must be twin size and are to be completed by the end of the year for showing at the Quilt Con even in February. The guild voted to participate in this challenge as a group; Ellen will get us registered. More information on how to help will be available at the August meeting. 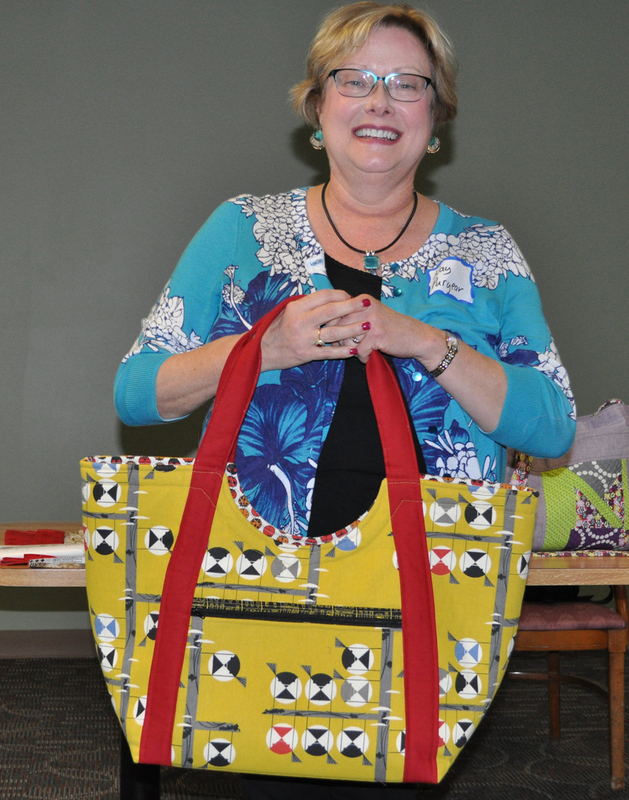 Betsy Travel Bag Class: This class was held on Saturday, July 25, at St. Clare Convent. Thanks to bag designer Kristi McDonough for teaching! Education: Bring your favorite quilting tool and talk a bit about it for the August education segment. Swap: If interested in the quilting tool swap, purchase the tool (approximately $10) and receive the favorite tool of another guild member at the meeting! 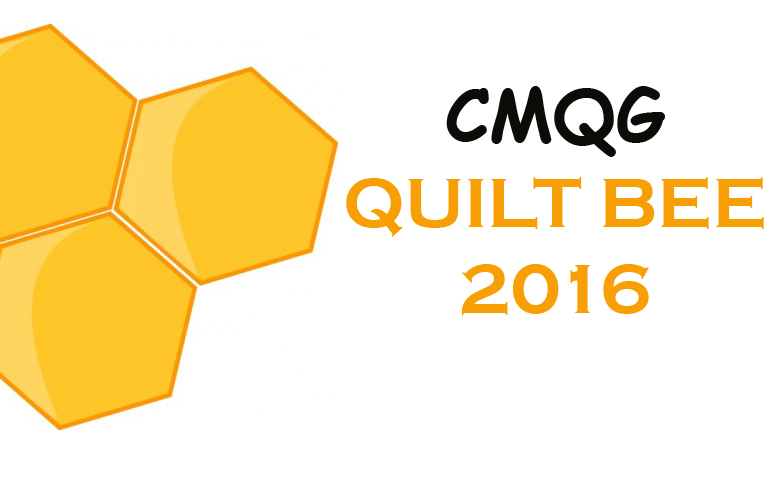 Fabric Sale: Bring your stash fabric to sell to fellow guild members! 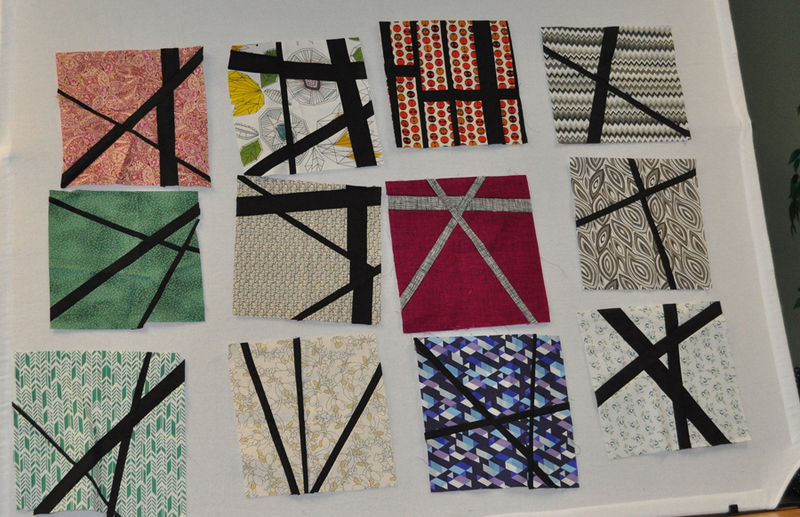 Fabric pieces can be any size, and each participate will have a space of half of one table on which to display her goods. Price your fabric before the meeting and be sure to have cash on hand for your sales. 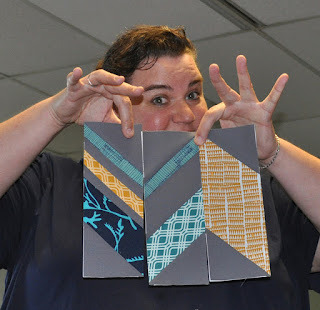 Education Challenge: At the June meeting, Brooke gave a presentation on the Magic Binding technique. 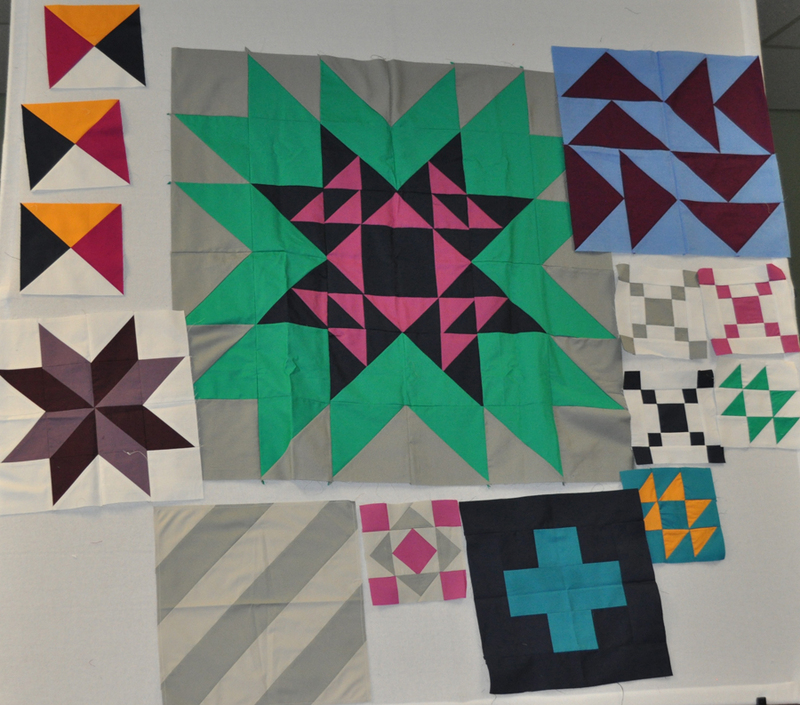 The following guild members tried the technique and brought their pieces to show at the July meeting. 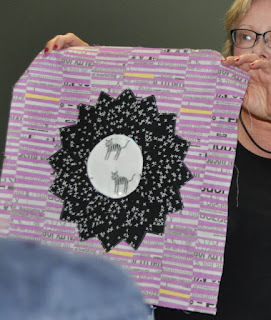 Christine's circle education challenge mug rug with the Magic Binding education challenge added. 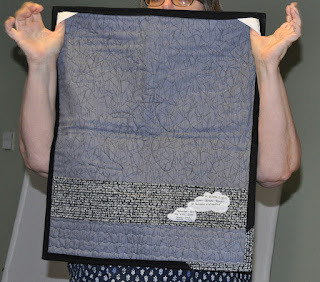 Ellen put the flange side of the Magic Binding on the back of her quilt. Janine put the Magic Binding on her Michael Miller challenge quilt. 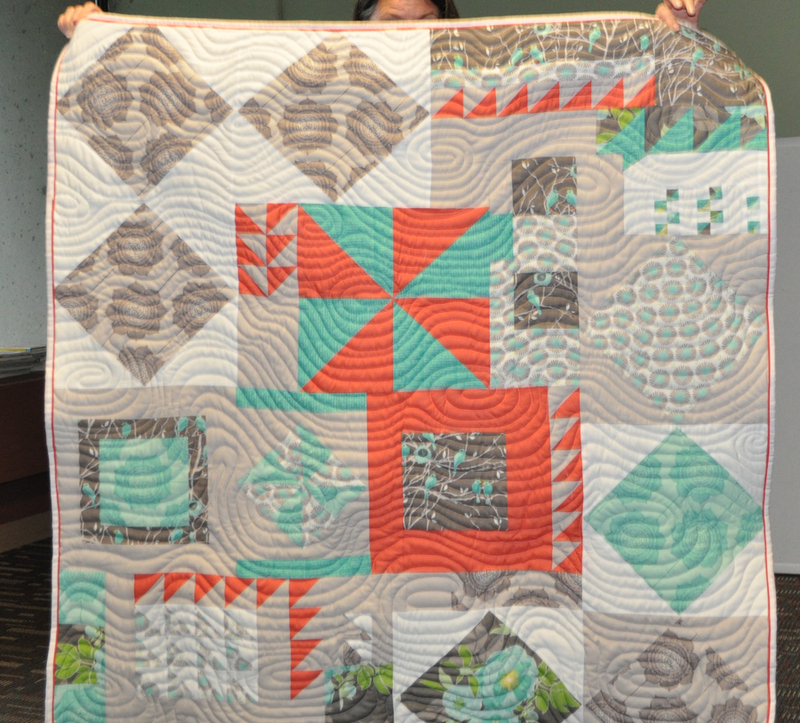 Check out that quilting! 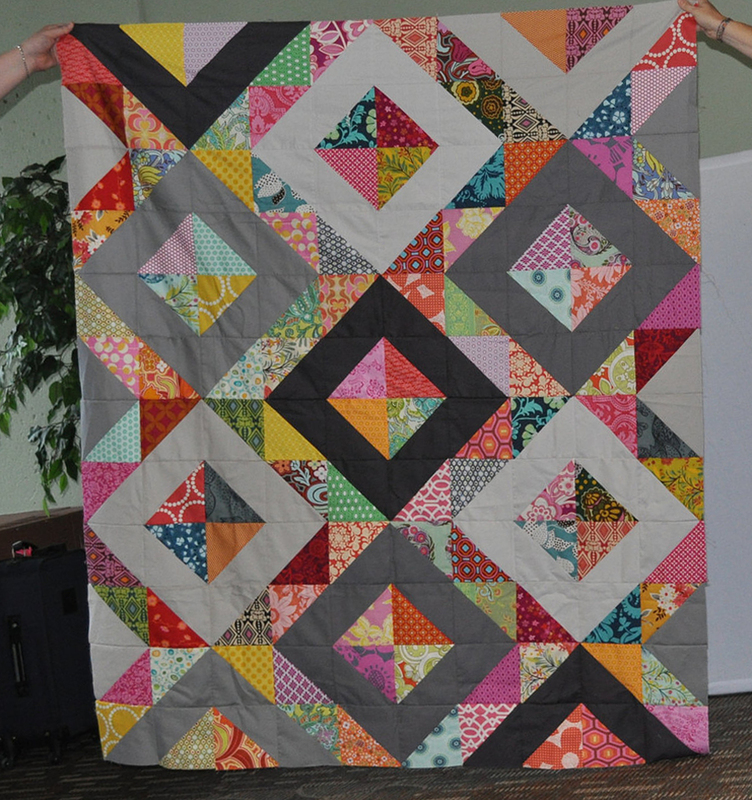 Kay added a pink and orange Magic Binding to this super cute baby quilt. Kay used color blocking and fussy cutting in this quilt, too. 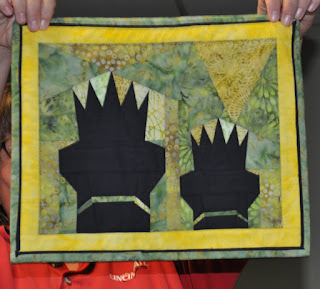 Trish added the Magic Binding to this Sew Along block from Silk Road. 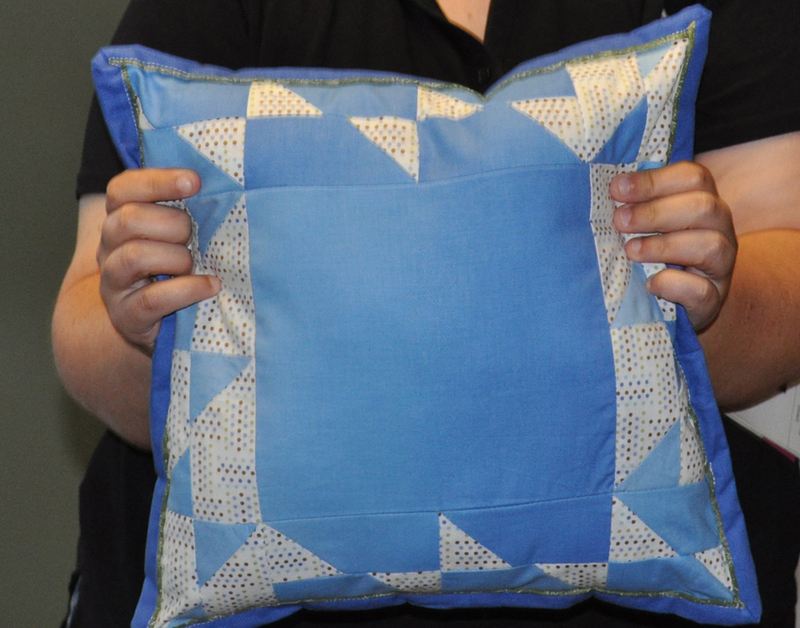 Shona used the Magic Binding on this pillow. Several of the guild members are participating in the latest Round Robin. Every other month they make a block for someone on their team and then bring it to show the guild. 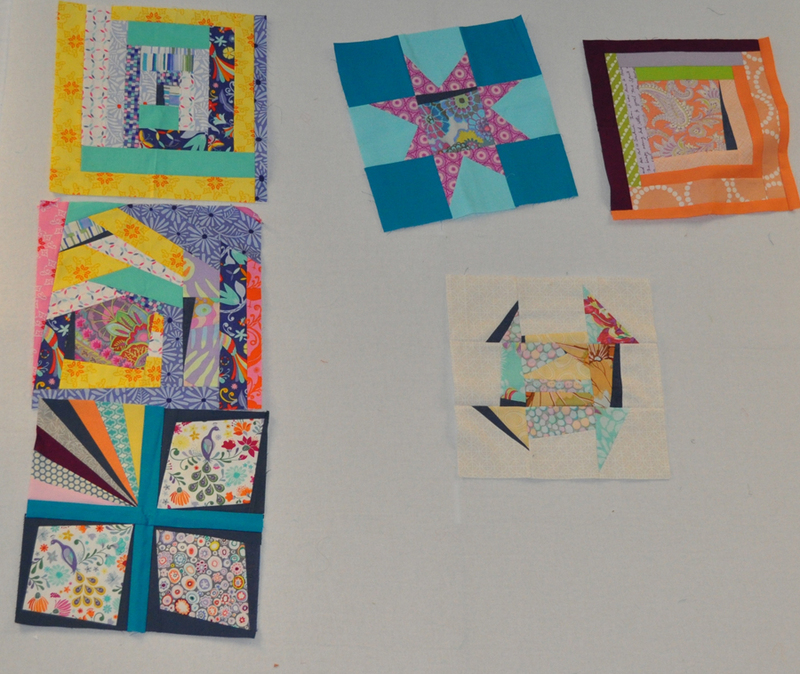 This month, Pam brought her design board so we could see how the blocks for each participant were looking. Shona made these blocks for Wendy's quilt. 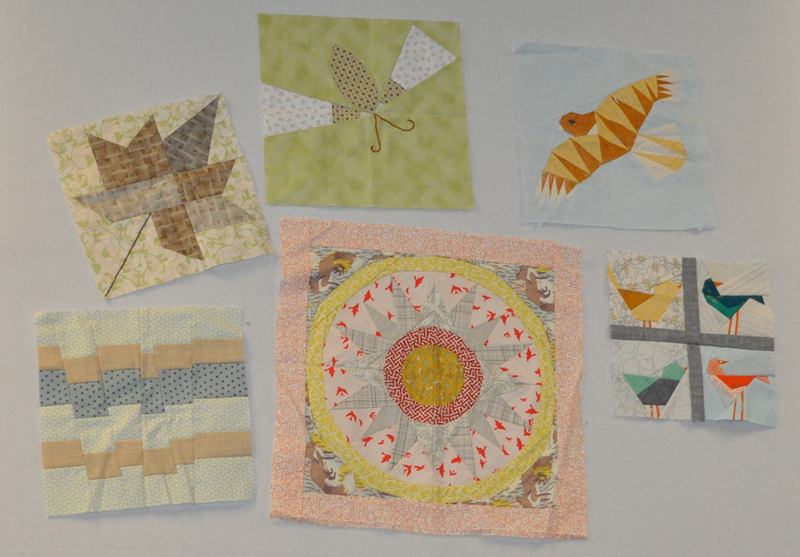 Robin added the bird block on the lower right to Carrie's collection. Carrie added blocks to Shona's quilt. Janine made a block for Annie's quilt. 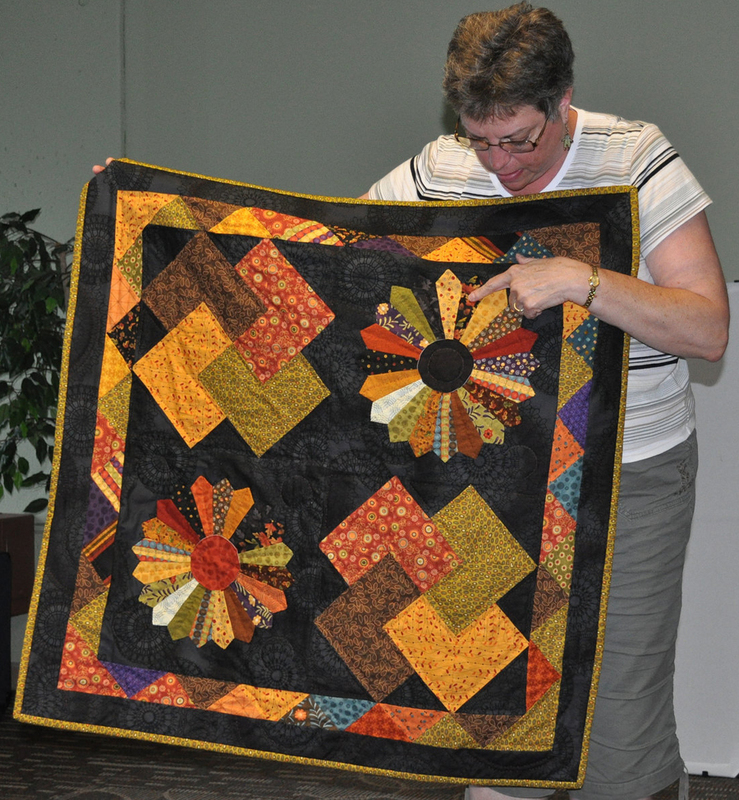 Wendy added the pinwheel border to Ellen's medallion quilt. Ellen added to Janine's quilt. 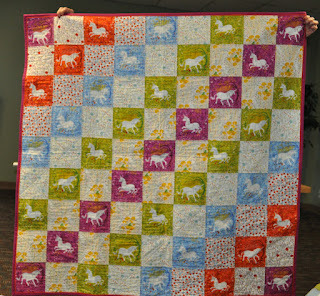 Annie added to Robin's quilt. 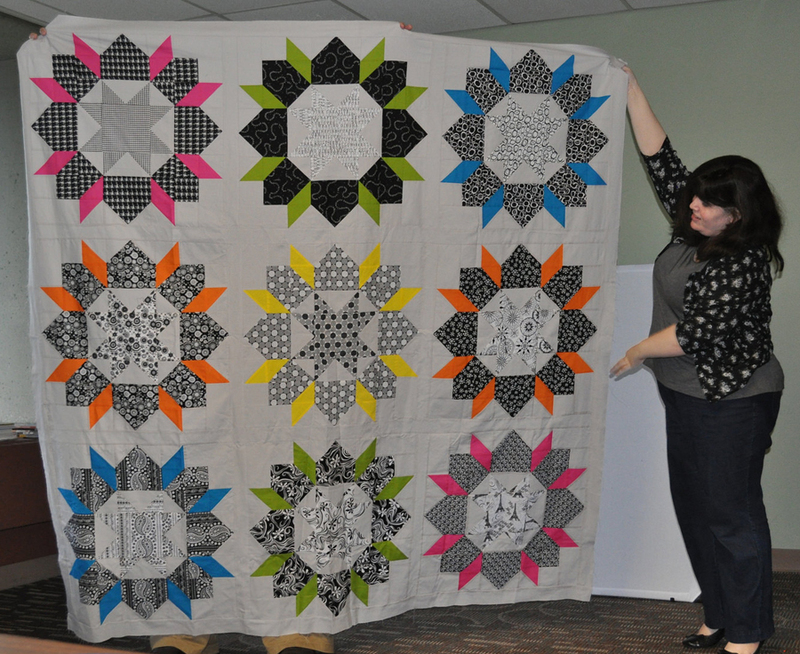 Abby added to Lesley's quilt. 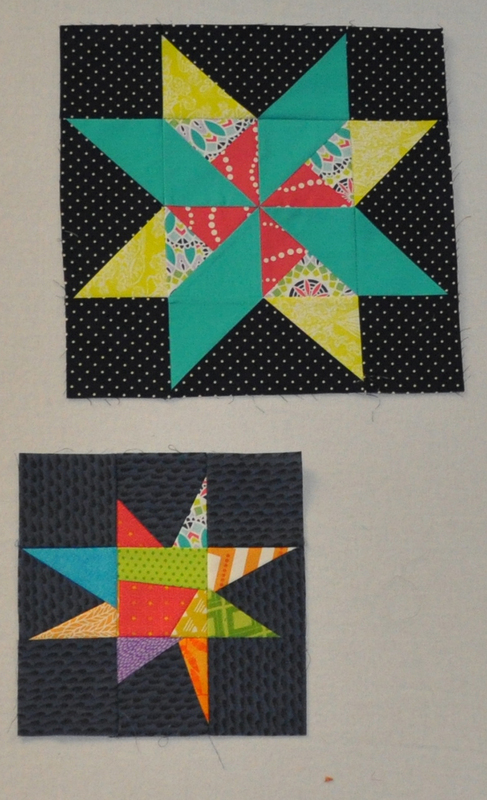 Kathy made stars for Brooke. 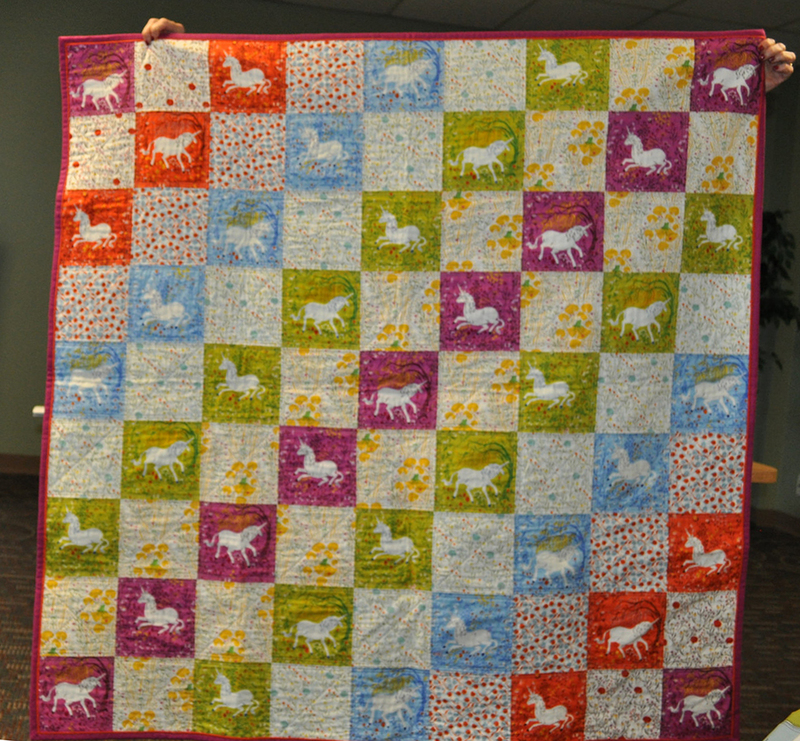 Ellen added to Kathy's confetti quilt. Brooke made some strips for Abby's feather quilt. 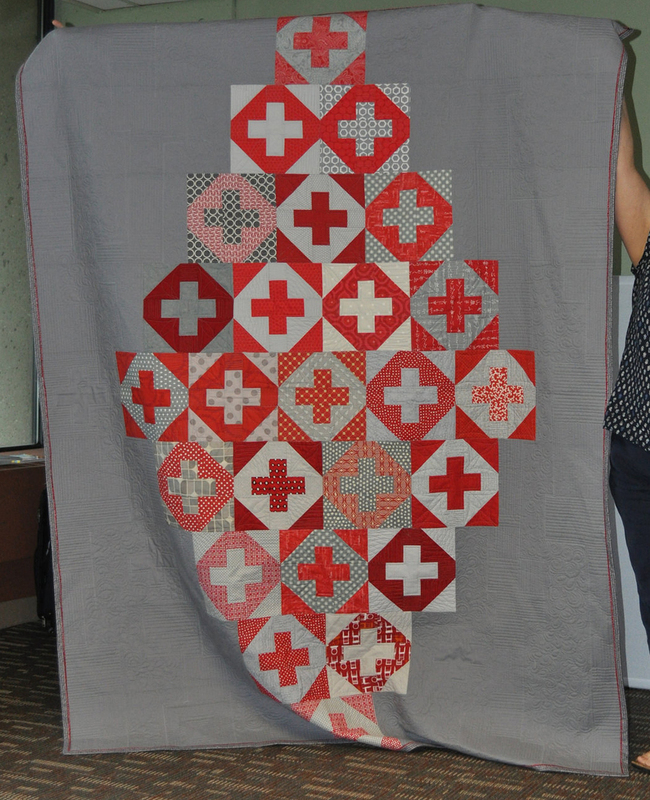 Ellen made this quilt for Do Good Stitches. Her team members made most of the blocks, and she quilted it. 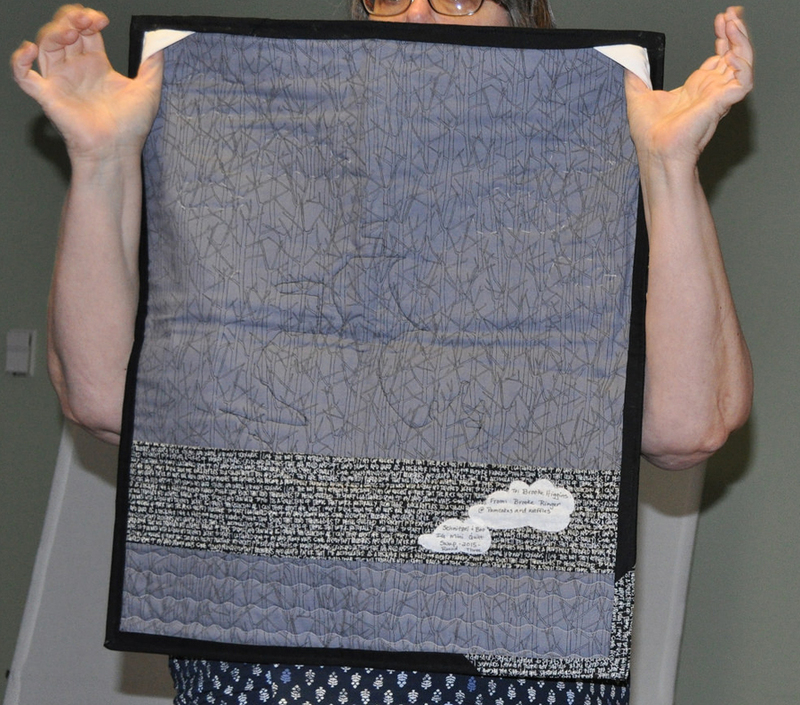 This is also the quilt on which Ellen did the Magic Binding. 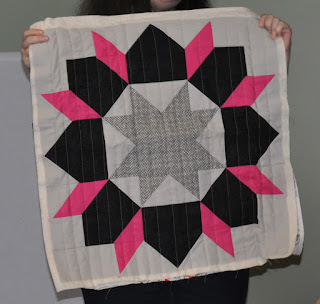 Shona tried the Bargello technique. In addition to her baby quilt, above, Kay made this bag using a Noodlehead pattern. And she tried the Dresden Plate block using these cute fabrics. 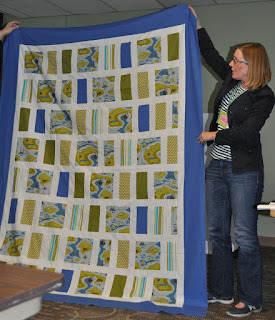 Christine's pirate quilt top for the Children's Home charity. 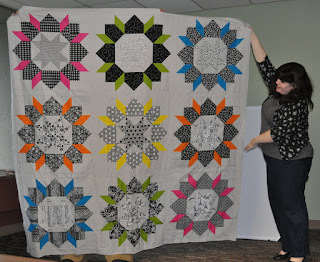 Pam's completed Swoon block quilt top! 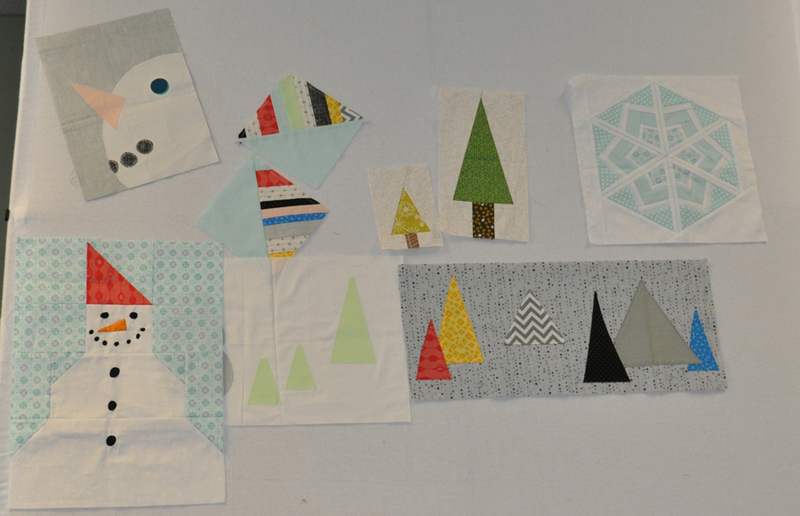 And a block that didn't make the cut. 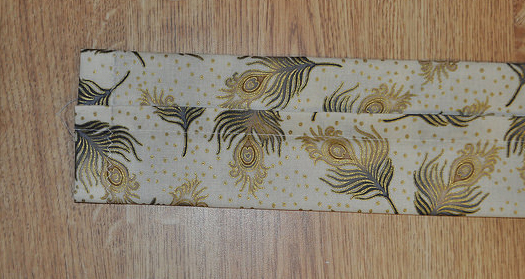 Pam will make a pillow from this one. 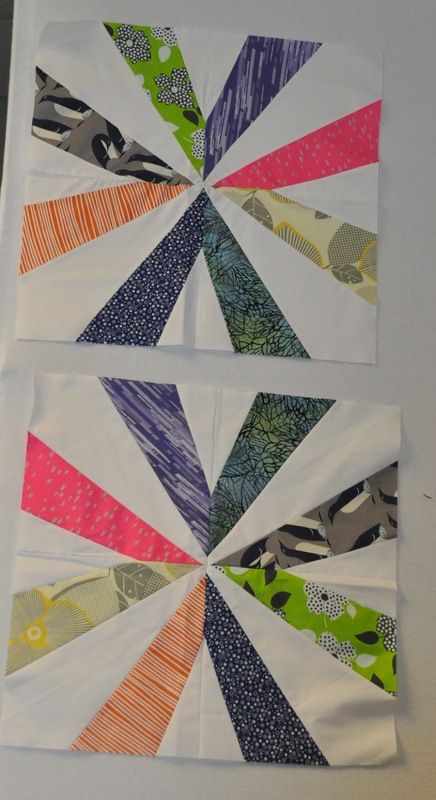 This month, Ellen M. shared three different techniques for quilt hanging sleeves. 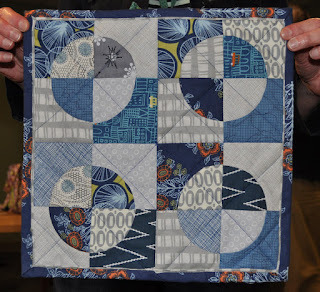 The first technique is one the Modern Quilt Guild recommends for quilts submitted to Quilt Con. 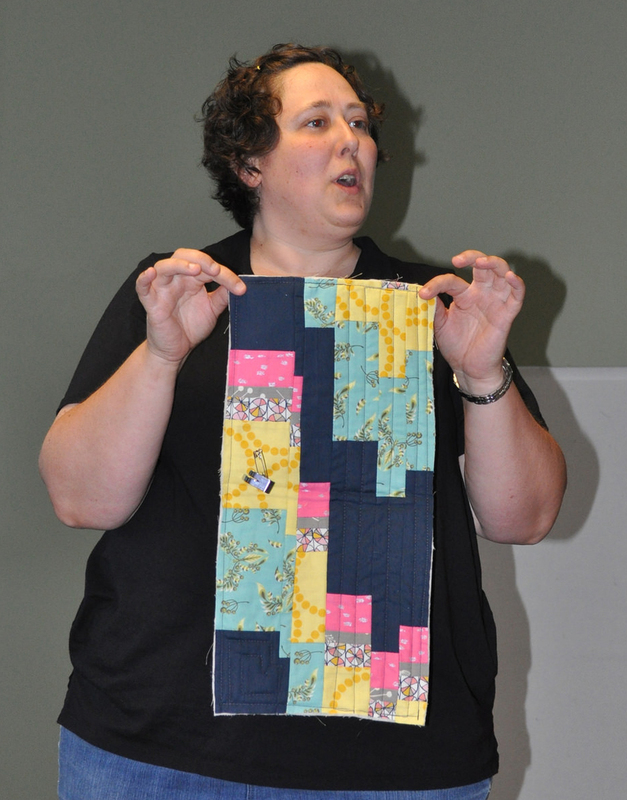 The quilt sleeve tutorial can be found here on Jacquie Gehring's blog. 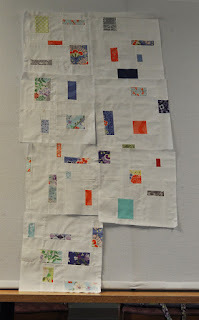 Cut the sleeve fabric to the width of the quilt. 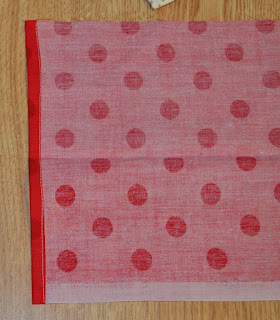 Then hem the short ends 1/4 inch and 1/4 inch again. 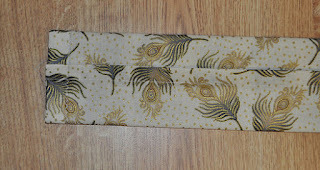 Follow the instructions in the blog post to fold the sleeve, then sew the long ends to form a D shape. Hand sew the sleeve to the back of the quilt. 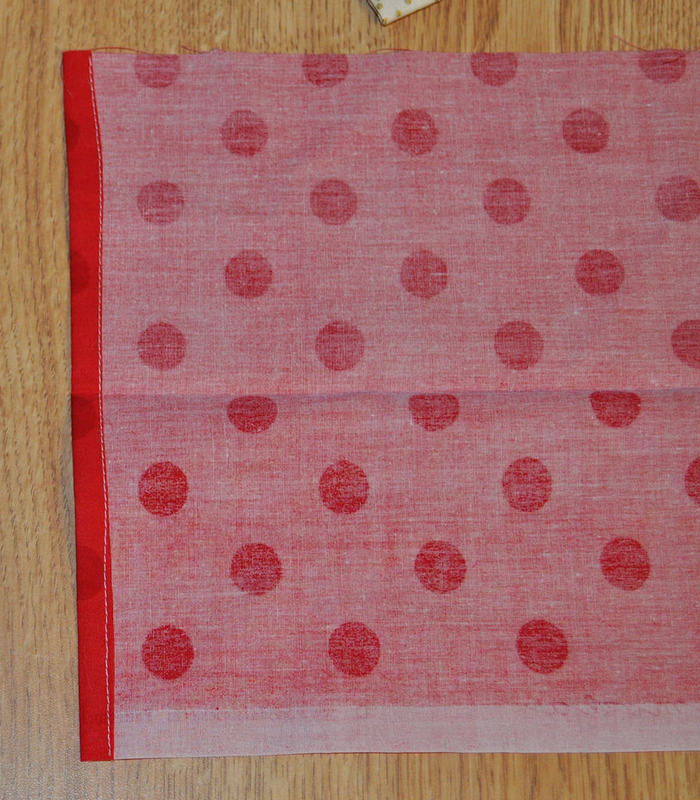 In the second method, the sleeve is sewn almost entirely by machine and another technique is used to ensure the D shape of the sleeve. 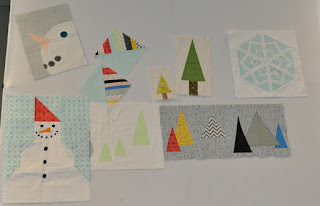 You can read this tutorial by clicking the link here for the We All Sew site. 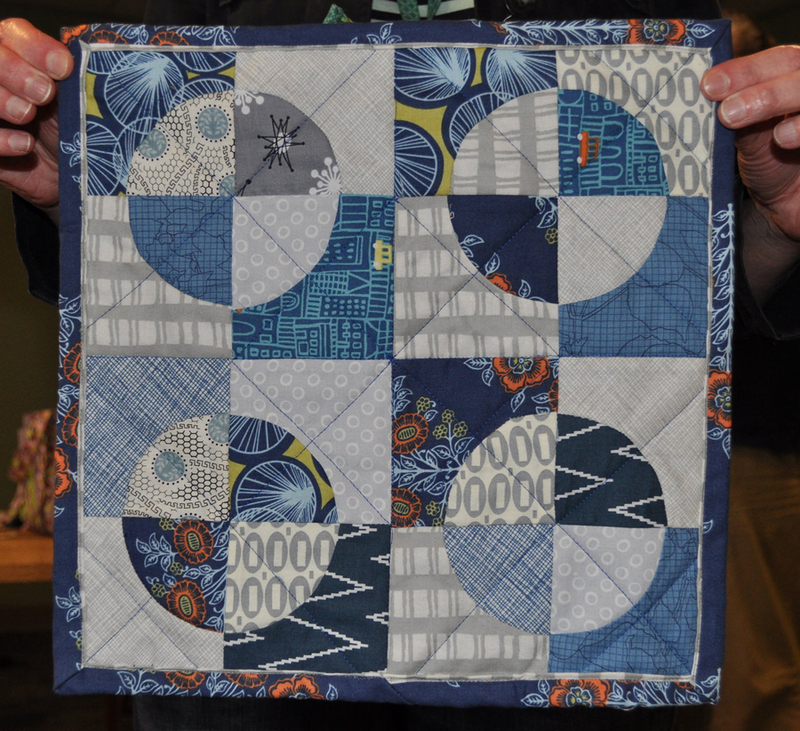 In the third method, tabs are sewn into the corner of the quilt at the same time the quilt it bound. 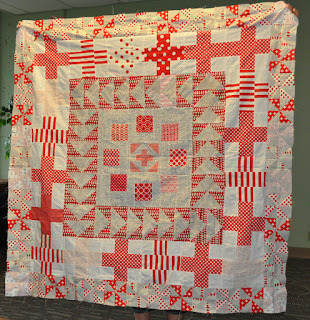 You can then place a dowel in the tabs or place thumbtacks through the tab fabric to hold the quilt. 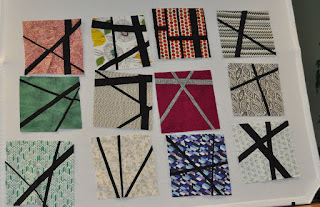 For this corner tab tutorial, check out this link from the A Girl in Paradise blog. Education challenge: Place a sleeve on one of your quilts using any of these methods and bring it to show at the August meeting!